Chapter by chapter, Graham leads us on a journey in faith. We learn about God and His purpose for our lives; who Jesus is and what He has done for us. We learn to deal with challenges along the way: temptation; wrong thoughts and motives; habits that destroy our spirit; and what to do when life turns against us. We all have doubts that challenge our faith. We wonder whether the Bible still matters, or whether God is truly as loving and personal as we hope. 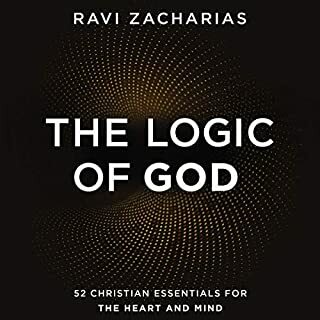 In his first ever devotional, The Logic of God, apologist Ravi Zacharias offers 52 devotions that explain how and why Christianity, the Bible, and God are still relevant, vital, and life-changing for us today. To all our dilemmas, Ravi says, "I am convinced that Jesus Christ alone uniquely answers the deepest questions of our hearts and minds." 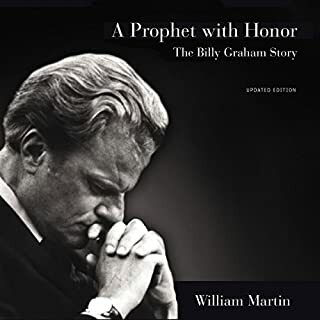 A Prophet with Honor is the biography Billy Graham himself invited and appreciated for its sympathetic but frank approach. Carefully documented, eminently fair, and gracefully written, it raises and answers key questions about Graham's character, contributions, and influence on the world religious scene. In this engaging and comprehensive book, William Martin gives readers a better understanding of the most successful evangelist in modern history, and the movement he led for over fifty years. Through his widely attended, often televised crusades, Dr. Billy Graham has carried the good news of Christ to people on every continent. 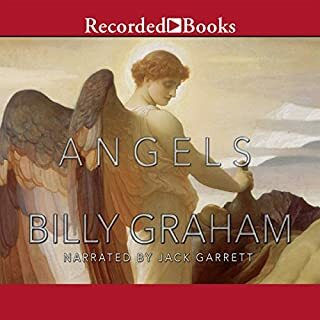 His books have been translated into 38 languages, selling millions of copies worldwide.In Angels, Graham provides astonishing insight into God’s behind-the-scenes secret agents. The greatest promise ever given to the human race came from the lips of our Redeemer when Jesus said, "Let not your heart be troubled; you believe in God, believe also in Me...I go to prepare a place for you...I will come again and receive you to Myself; that where I am, there you may be also" (John 14:1-3). Just after his 95th birthday, Mr. Graham proclaimed with resolve, "When I die, tell others that I've gone to my Lord and Savior Jesus Christ - that's where I am." 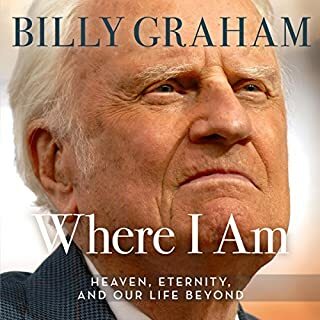 Billy Graham shares God's gentle, reassuring promise of spiritual calm - of authentic personal peace - amid a personal life wracked with too much stress, too many burdens, too great a heartache. 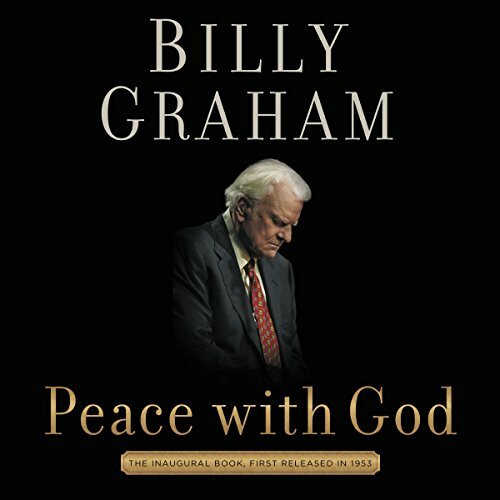 In Peace with God, Billy Graham asks God to help this book "find its way into the hands and hearts of a lost, confused, and searching world...men, women, and young people everywhere [who] thirst for peace with God." In spite of a life drenched with responsibilities and rewards, are you thirsting? Searching for some nameless thing that is more important than anything in life? You are not alone. All mankind is seeking the answer to the confusion, the moral sickness, the spiritual emptiness that oppresses the world. All humanity is crying out for guidance, for comfort...for peace. Reverend Graham shares God's gentle, reassuring promise of spiritual calm - of authentic personal peace - amid a personal life wracked with too much stress, too many burdens, too great a heartache. "I know men who would write a check for a million dollars if they could find peace," writes Reverend Graham. "Millions are searching for it. But we Christians have found it! It is ours now and forever. We have found the secret of life! When your spouse dies or your children get sick or you lose your job, you can have a peace that you don't understand. You may have tears at a graveside, but you can have an abiding peace, a quietness. "God's peace can be in your heart - right now. Whatever the circumstances, whatever the call, whatever the duty, whatever the price, whatever the sacrifice - his strength will be your strength in your hour of need. "It's all yours, and it's free. You don't have to work for it. Do not put it off." I have always held Billy Graham in the highest regard, but I've never actually read his works cover to cover. For that reason, I had no basis on which to give my opinion in regard to anything other than his oratory work. This book brings to the forefront almost everything that I need to work on in my life. He seems to leave nothing out; pointing out sin and what we must do to ensure our eternal salvation. The thing that was of greatest interest to me was his convictions on things that are relevant today that cause so many of us to fall far short of meeting God's minimal expectation. Every Christian should read this; every non-Christian should also read it so they may reflect upon their beliefs - whether they consider themselves to be a Christian, agnostic or atheist. This is, as of yet, the best book that I have listened to using the audible app. I intend to purchase it next on Kindle so that I can highlight certain portions that apply directly to me. All in all, a must read! Wow!! Life changing. Incredible book from an incredible servant of God. I didn’t know what to expect but he covered just about everything in life all through the Holy Bible. This is a masterpiece of a book. Since his recent death, there has been a renewed interest in the life and words of Billy Graham. 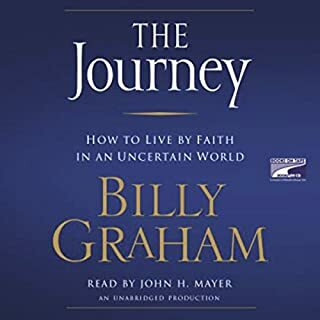 Even Sirius Radio had a Billy Graham channel for a period of time which presented recordings from his life of speaking engagements. This man left an example and a legacy we would do well to emulate. My only disappointment, which is small, with the audio book is that it is not narrated by the author himself. Nothing against Tommy Cresswell. He had a huge job here and handled it well. Its just that I so enjoy Billy's urgent, yet at peace, voice that has had an unique impact on tens of thousands regardless of what he said. His sincerity and love for people poured out in every word. A great listen written by a great man. This book is great for a better understanding of being a Christian and what Christianity is about. I’m a born-again Christian and needed to hear the Word from a man who thoroughly knew the Word and truly lived the Word. 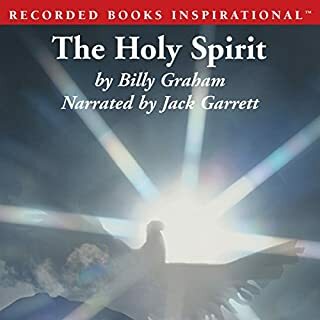 I already felt blessed just by listening to this audible book which transformed me to a better place spirituality. This book will be a treasured collection in my library. I will probably be listening to it over and over again.